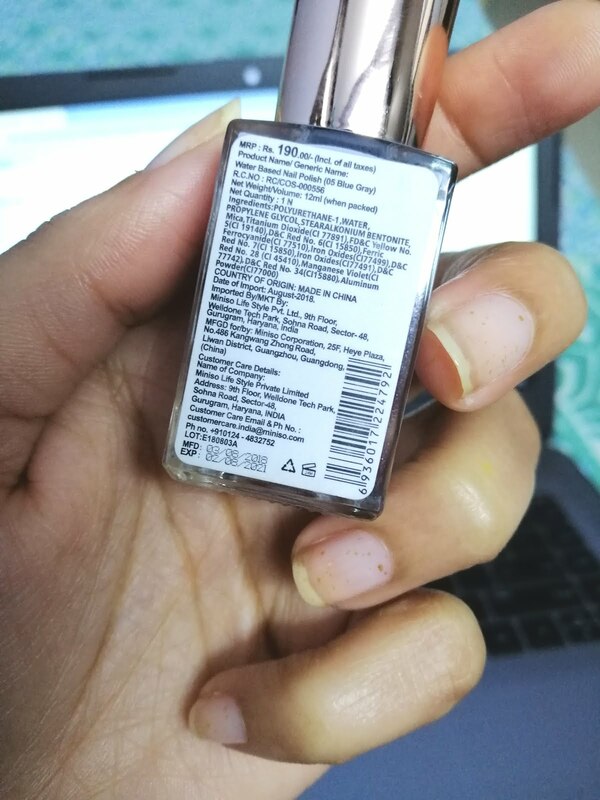 Finally long after my Miniso Haul, I am here with Miniso Peel Off nail polish review. It took me such a long time to review it on Crazy Nailzz, but we did it. Whenever I enter any store, a beauty specific store for that matter, nail polishes are the first thing that I look at. My main goal is to always look for the shades which are slightly different from the regular ones available online here and there with other brands. 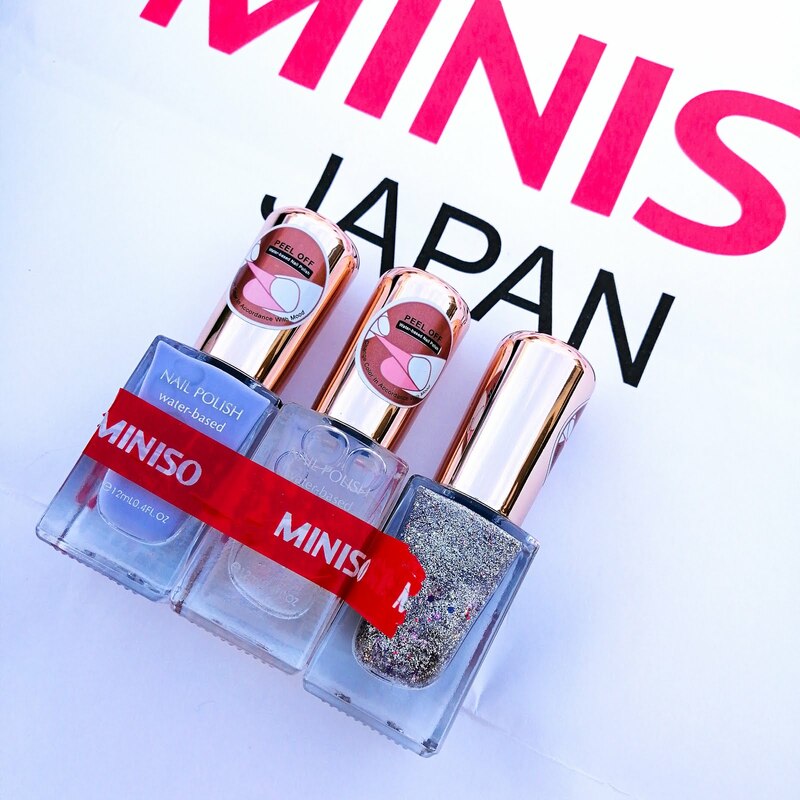 So, when I found some cute nail polishes in Miniso, I got these. According to their website, there are many shades, but the store had just 4-5 of them which was definitely a major disappointment for me. I checked out other stores as well, and all the miniso stores have limited shades, mostly hosting the same ones, everywhere. Do tell me if you have been facing this issue, in the comments below! 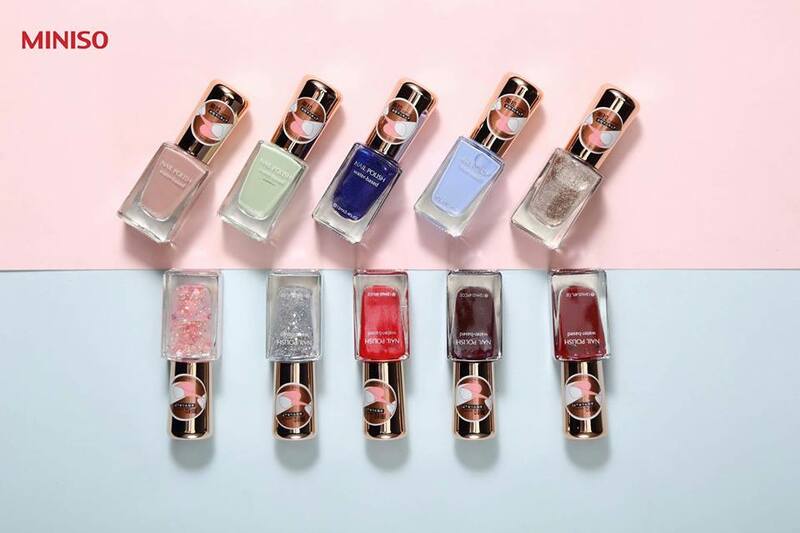 "Non-toxic, no stimulation smell and crystal shine, full colour, uniform and smooth, can to tear"
Each nail polish with the brand is marked at Rs. 190 for 12ml. 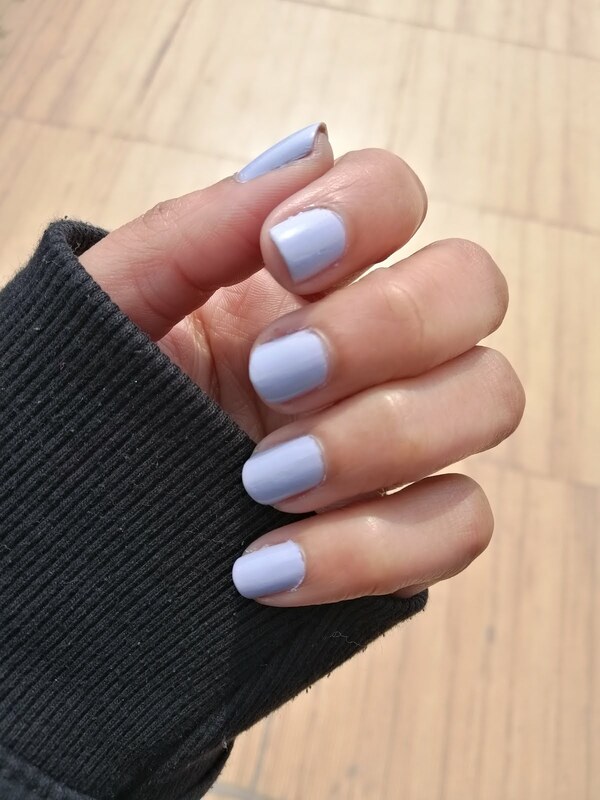 This is a gorgeous pastel lavender shade. I am surprised by their naming technique. Moreover, you can get a nice colour in one coat, but for the perfect finish, you will need a couple of coats. This one takes about 5 minutes to dry and settles on the nail perfectly. It has a lasting of about 4 days and after that, it will start chipping off. 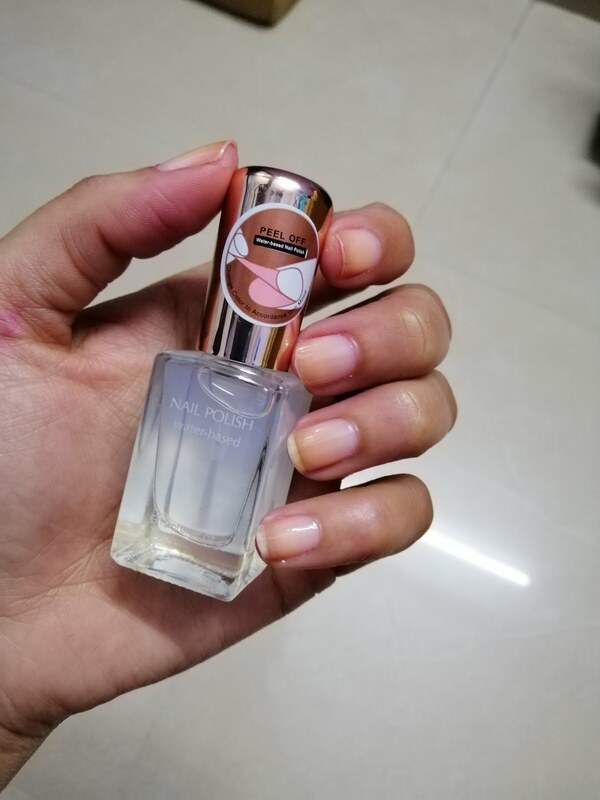 If you want to see the peel-off effect, make sure to apply 2-3 coats of the nail polish and a base coat on your nails, otherwise, you might damage the nails. 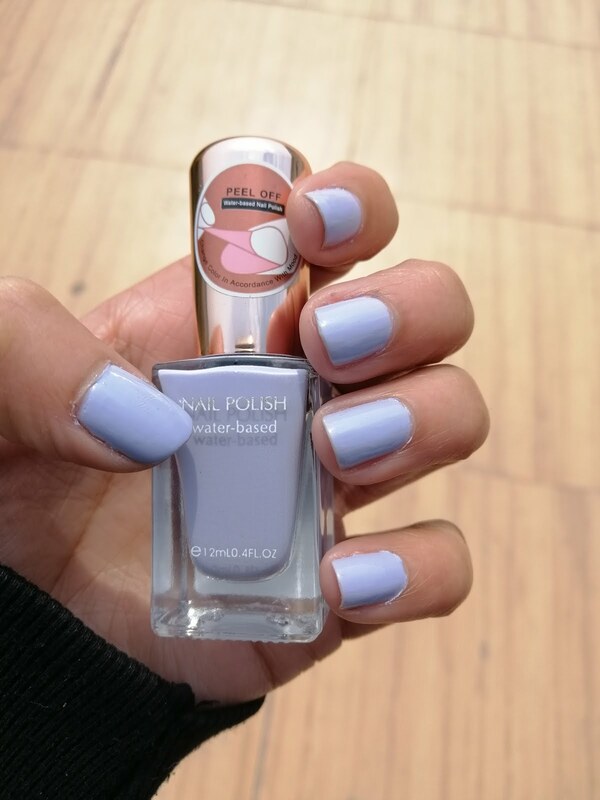 This is a waterbased clear polish so you can use it as a base coat or a top coat. This can help in turning any nail polish into a peel-off one. 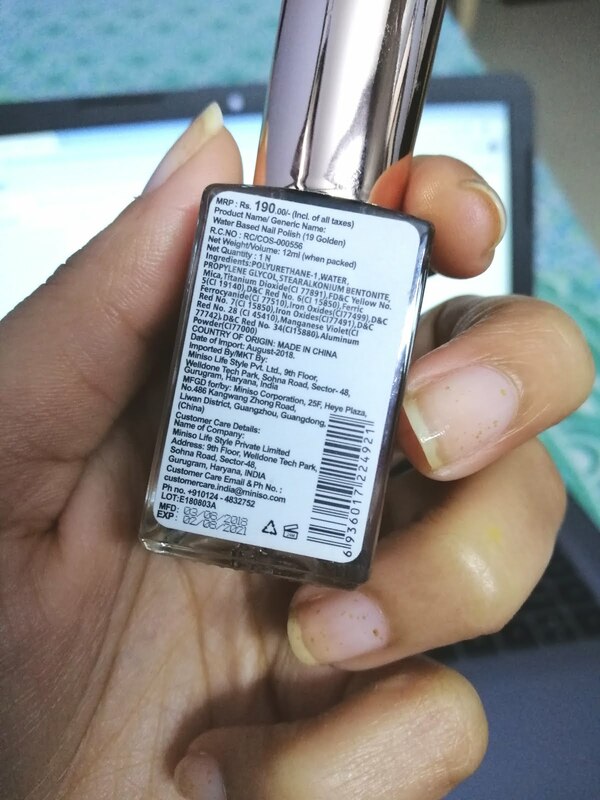 I love using it as a base coat before applying glitter nail polishes on my nails. 2 coats of this clear polish is enough. 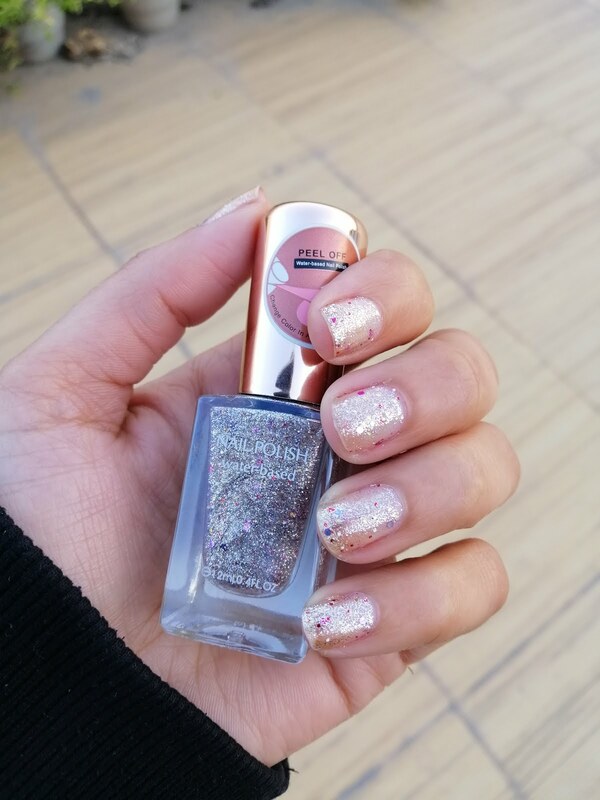 It is a beautiful glitter nail polish with loads of glitters in the rose gold shade having multicolour glitter particles as well. You can use it as a top coat or add effects on your nails. You can get perfect colour in about 2 coats, completely covering your nail with glitter. This one takes about 5-10 minutes to dry out completely. 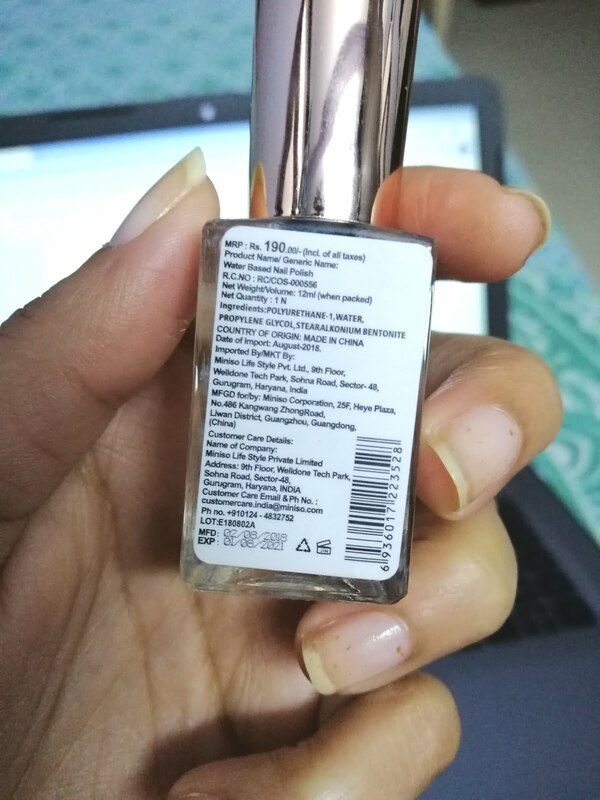 If you are looking for easy to remove glitter nail polishes, this is the best one for you. 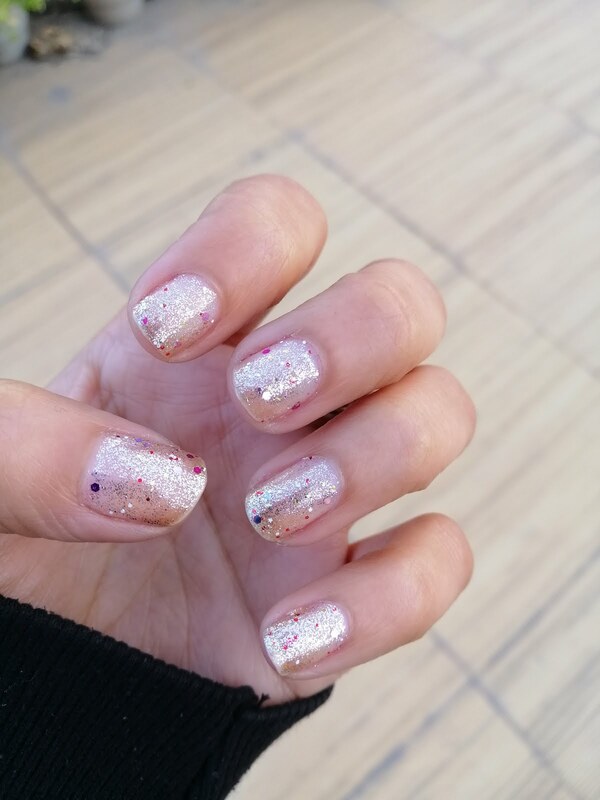 The glitters lay down on the nails giving a smooth even look.